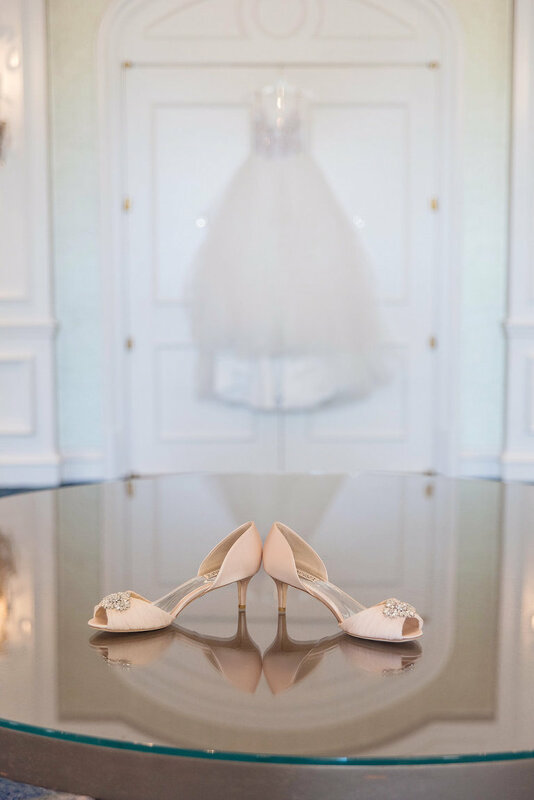 Olivia and Patrick’s downtown Sarasota wedding featured a romantic array of pastel colors including baby pink and light gray to elegantly complement their modern, chic wedding. 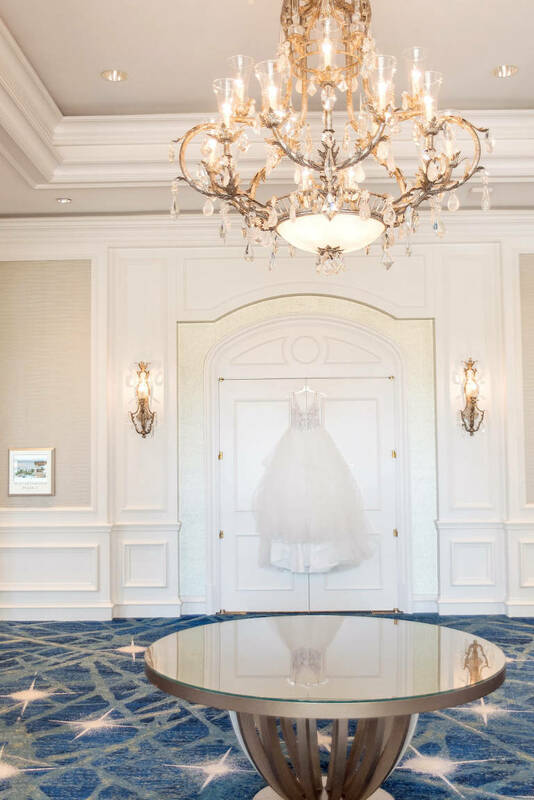 Knowing that Florida’s weather can change at the drop of a dime, the bride and groom opted for a contemporary, indoor venue, with a central location. 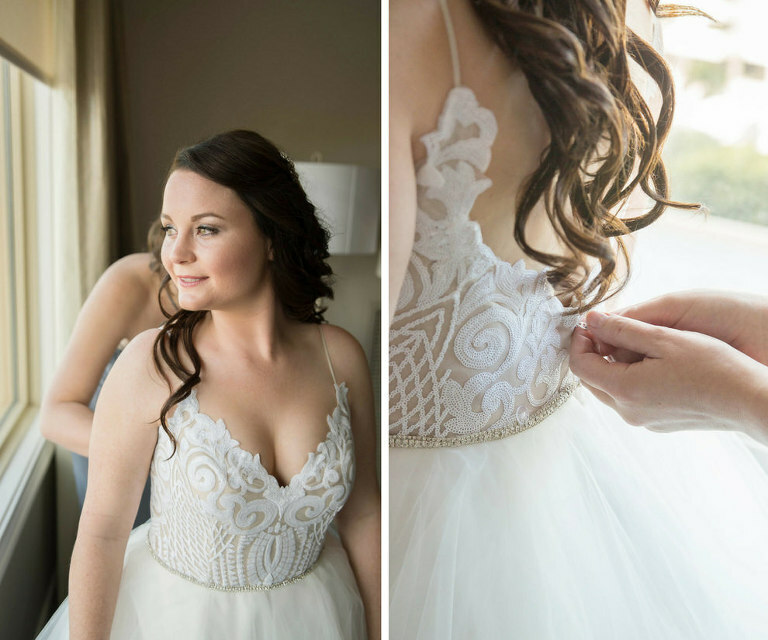 Olivia and Patrick looked for a Sarasota wedding photographer who could capture their wedding day effortlessly. 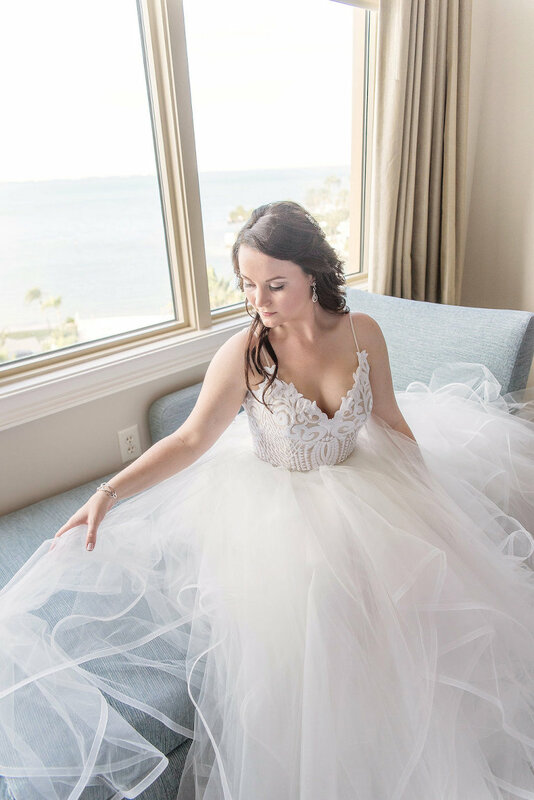 With beautiful lighting, technique and personality, Kristen Marie Photography was the perfect choice for the couple, as the bride’s portraits were one of the favorite elements of her wedding. “The moment I talked with Kristen on the phone, I knew she was the one to capture the day! She knew exactly what I was looking for and was very organized. She had it scheduled down to a ‘T,’ making it all go effortlessly on the big day,” the bride explained. Reminiscing on their wedding day, one of the couple’s most cherished memories was dancing at their reception. “It was beautiful to see our families join together in some Polish dancing (my husband’s side); it was wonderful and hilarious at the same time. Another memorable moment was when my sister, my maid of honor, made up a hilarious and impressive rap to the back track of Baby Got Back,” Olivia shared. Patrick took me Siesta Key Beach for sunset. He told me we were going to practice using the time-lapse photo feature on his new camera I bought him for his birthday. Little did I know he had the camera set up to capture our proposal! Near the time of sunset, he said we should stand near the water to be in a couple of the photos, that is when he went down on one knee and the rest is history! I looked for lighting, technique and personality. The moment I talked with Kristen of Kristen Marie Photography on the phone, I knew she was the one to capture the day! She knew exactly what I was looking for and was very organized. She had it scheduled down to a “T,” making it all go effortlessly on the big day. Due to the unpredictable nature of Florida weather, Patrick and I both were determined to have an interior venue. We wanted a place that was in close proximity to the hotel that out-of-town guests were staying. Also, we wanted a venue that would remain private, not one that could have two or more events at a time. The Francis was amazing due to its sleek, modern, elegant decor and location right in the middle of downtown Sarasota. Since our theme was modern elegance, the modern decor of the ballroom made it the perfect setting! Ryan at The Francis was amazing and worked with us each step of the way! He listened to what we had envisioned and lead us to our wedding planner, who made our dream a reality. The two worked as the perfect team for setting up the table linens, flowers, party favors, napkins, cake, wall draping, etc. so that the room would look as though it came right out of a page of a wedding magazine. Since my husband’s side of the family is Polish, there were some unique requests we had about party favors and traditions that The Francis helped us to incorporate into our wedding flawlessly. Also, it was so easy for our out-of-town guests to walk from their hotel to the The Francis and not have to worry about parking or driving. Plus, if anyone wanted to keep the party going, there were plenty of bars still open downtown for those who wanted to party all night! Modern chic. The reception venue was elegant and modern and this helped pave the way to our design. Baby pink and light gray. They are an elegant combination, and I have been a fan of that color scheme since I was a child. Have fun with the wedding planning! It is a joyous day, and it can be stressful in the months leading up to it. The wedding day is about you and your significant other. Family may try to tell you it is about them and the guests, but it is about your love! Make your wedding day your own!